Originally published in 1976 Talking About Welfare is a collection of essays providing a general survey of the problems facing social welfare. The book introduces a number of philosophers, social workers and social administrators, concentrating on problems in describing a general philosophical orientation to social work, what it means to understand another person, and to problems in describing and justifying social work and social welfare activity. 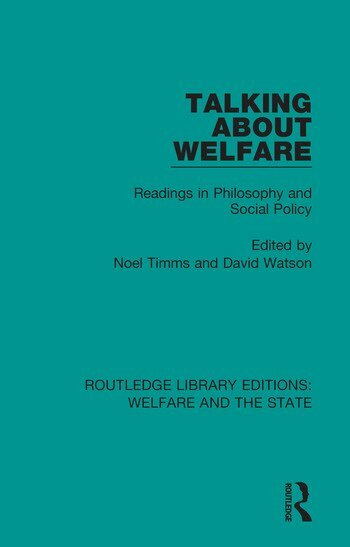 The essays collected contribute to discussion of a wide range of welfare issues, principally that of personal and social welfare, the moral justification of welfare provision, and conceptions of community.